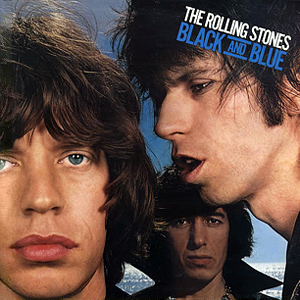 So, that ace image of Mick Jagger with a black Jag, which for me is the iconic black Jag image, is flawed. Turns out it's a serviceman. I had no idea. This Puisheen cat on Instagram is great value, by the way: ace tech, loads of knowledge shared, and scores of beautiful guitars pass through his hands. Neither black nor a Fender. 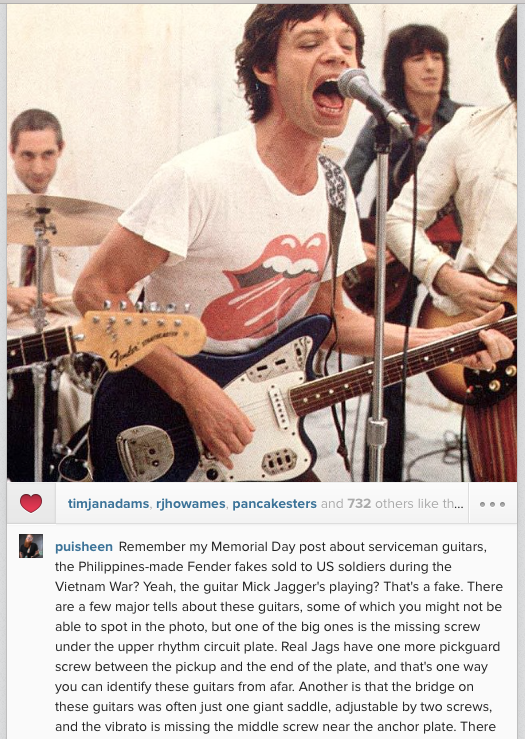 That guitar being a serviceman was sleuthed in real-time on an old Jag-Stang thread back in the day after the pic was posted, good timez. It probably happened first on Jag-Stang, though. It did, back in the early '00s. We were looking at much lower quality pics like the b&w album cover one, but Rick (fenderjaguar.net) and someone else could tell instantly due to the pickguard screws. That's probably what Pat was remembering at first in that thread. And sorry to benecol, it just made me nostalgic to remember this seeming such a hawt discoverai whereas nowadays I'd be like "oh well, the Stones had a billion guitars and Mick doesn't really play anyway, guitars are just wally-dance-ballast to him"
The Stones Gear Book is insane. srsly. if you need reliably accurate and/or appropriately satirized recounts of yesteryear, better call paul_.